Galaxy offers state-of-the-art facilities for building a portables graphical user interface for large-scale, distributed applications. 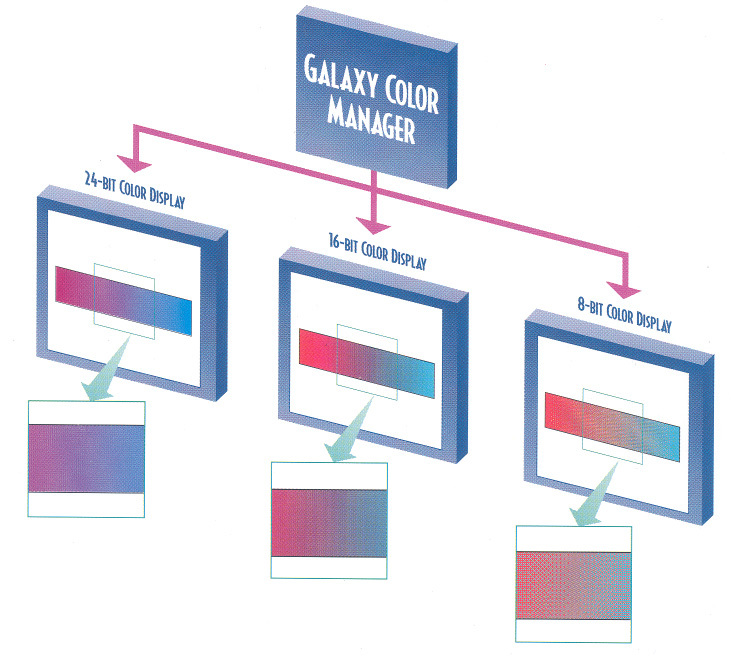 Galaxy managers include a comprehensive set of window system abstractions and powerful graphical objects. Select managers are described below. Galaxy offers state-of-the-art facilities for building a portable graphical user interface for a large-scale, distributed application. The Galaxy architecture insulates developers and users from the differences among look-and-feel standards. 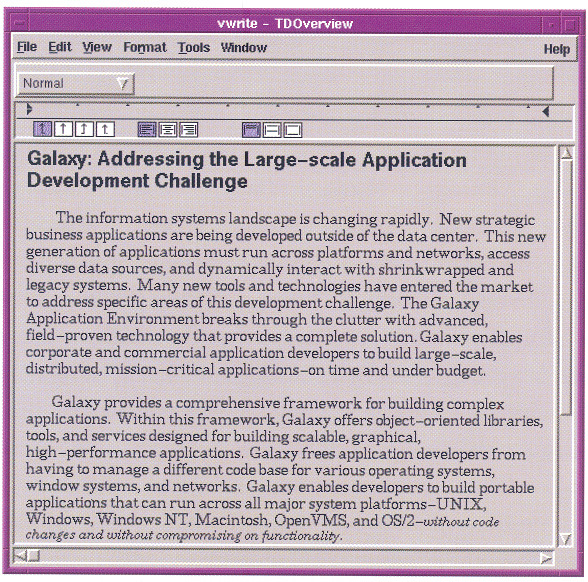 Galaxy applications can use any of the supported standards for application look-and-feel, even if the selected look-and-feel is not normally available on that platform (except for the Macintosh look-and-feel, which is only available on that on Macintosh system). 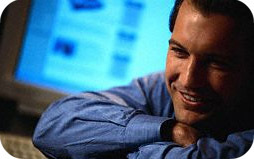 For example, an application can use the Microsoft Windows look-and-feel on a Sun SPARCstation or Apple Macintosh. Any of the look-and-feel standards can be selected at runtime from a common binary executable, without creating additional application overhead and without having to replace or update the application. All of the look-and-feel standards are supported by a single API, and each adheres to the official published style guides and conformance criteria. The Galaxy implementation of each look-and-feel standard provides performance that is at least equal to, and often better than, native implementations. The Color Manager provides one color API across platforms, and allows the developer to avoid explicitly programming to a particular color model. A Galaxy application can specify colors according to several different color models, including RGB, HLS, and CMY, with full support on every platform. Galaxy fulfills the requirements of the application through the underlying window system and display capabilities. For example, on an 8-bit color-mapped display, the requested colors are often not in the display color map. In that case, Galaxy automatically uses available colors to return the closest match possible, or constructs a dithered color. On a grayscale display, a gray level corresponding to the luminance of the requested color is automatically computed. On a monochrome display, the color request is represented by black, white, or a dithered pattern. On a 24-bit true color display, an extremely faithful rendition of the color requests is produced. The Color Manager supports closest-match and dithered colors to provide graceful degradation in sub-optimal color environments. The color manager supports closest-match and dithered colors to provide graceful degradation in sub-optimal color environments. Nearly every application allows the user to enter text. Galaxy includes a high functionality text field—the Text Manager—as a standard user interface object. The Galaxy Text Manager handles text processing, formatting, and editing of large bodies of text. Text storage functions are separated from the text editing process, so the Text Manager can be used as a “text engine” for any text editing application. The Text Manager supports embedded graphics, multiple fonts and font sizes, and rulers with multiple tab and margin types. The Domain Manager is a robust graphics object handler that manages objects in a two-and-a-half dimensional space defined by height, width, and unlimited layers. Domain Manager objects include both the visible and hidden graphical representations within a domain, which is the rectangular coordinate space in which objects maybe placed. A domain can have a defined or a dynamic size that adjusts to the bounds of the objects in the domain. A domain view is an observer of a domain, which is used to display and modify the domain. Multiple domain views can observe the same domain, each updating its display when the domain changes. 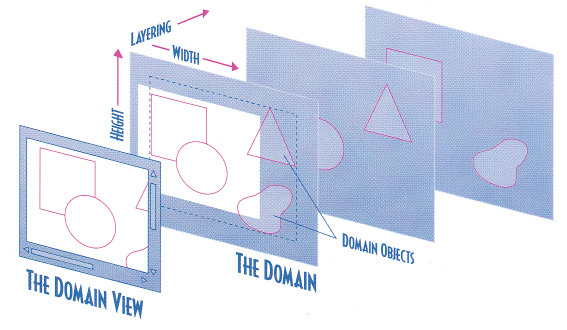 Every object in a domain resides on a unique layer, whether or not they visually overlap. Domain objects can be anchored, connected to other objects, selected, unselected, moved, resized, and manipulated in many other ways. The Domain Manager is a Robust Graphics Objects in a two and a half dimensional space defined by height, width, and unlimited layers. A domain views displays the domain and allows the user to interact with it. Domains are time and space efficient even when the domain contains tens of thousands of objects. The Domain Manager provides an essential capability for storing and managing groups of graphical objects, particularly for large-scale applications with rich user interface functionality. The List Manager provides the developer with architecture and tools for maintaining and displaying tables of application data. List objects (lists) can be used as large-scale two-dimensional storage objects, supporting more than two billion rows and columns. Lists can be used for storing data, and they can be associated with views of the data (list views) in one or more dialogs. A list view can be a standard table of strings or a custom view that displays non-textual information, such as images, in each ceil. 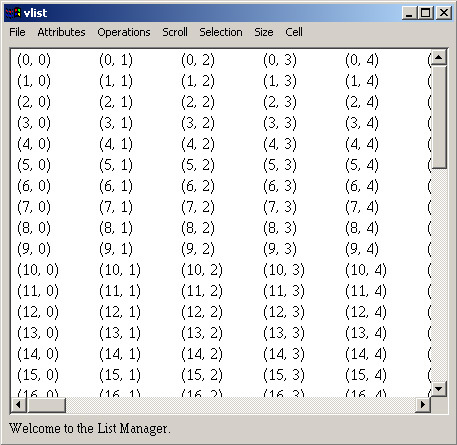 The List Manager supports several list selection operations, including discontinuous selection of cells. Every list view works with an observer, which monitors changes in the list objects and updates the list view. Multiple list views can display the same list object, each updating its display according to its own display routines. Lists are particularly useful when an application needs a dynamic array that can be easily manipulated and transformed. The List Manager-Implemented in a Spreadsheet Application. A List view can be a standard table of strings or a custom view that displays non-textual information, such as images, in each cell. The List Manager-Implemented to display images in a graphics design application. 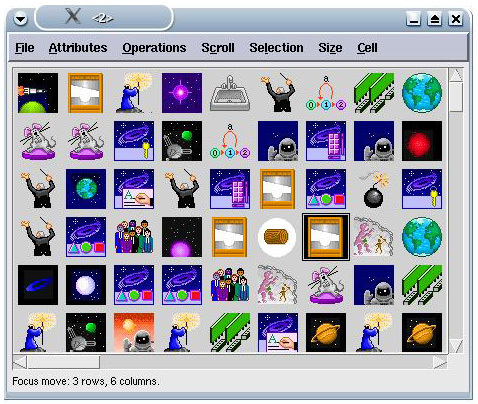 The Galaxy Spring Manager provides the application developer with a sophisticated, yet intuitive, geometry management system called “Springs and Struts”. Springs and Struts dramatically reduce the effort of internationalizing an application, and of moving an application across display types, platforms, and look-and feels. Springs and Struts simplify the complex geometric relationships among user interface objects and windows into three concepts: flexible connections (springs), rigid connections (struts), and computed, or “natural size”, connections. The natural size feature can be used to automatically re-size user interface objects to accommodate size changes in their contents caused by local languages, graphics and other factors—without developer involvement. Through the Resource Environment, the Spring Manager provides immediate visual feed back on invalid geometry, to shorten the user interface development cycle.